The Trump administration, delaying an anticipated confrontation with Iran until the completion of a long-awaited policy review, plans to recertify Tehran’s compliance with the Obama-era nuclear deal, according to U.S. and foreign officials. The recertification, due Monday to Congress, follows a heated internal debate between those who want to crack down on Iran now – including some White House officials and lawmakers – and Cabinet officials who are “managing other constituencies” such as European allies, and Russia and China, which signed and support the agreement, one senior U.S. official said. As a candidate and president, Trump has said he would reexamine and possibly kill what he called the “disastrous” nuclear deal that was negotiated under President Barack Obama and went into effect in January last year. The historic agreement shut down most of Iran’s nuclear program, in some cases for decades, in exchange for an easing of international sanctions. Under an arrangement Obama worked out with Congress, the administration must certify Iranian compliance with the terms of the accord every 90 days. If the administration denies certification, it can then decide to reinstitute sanctions that were suspended under the deal. The Trump administration issued its first certification in April, when it also said it was awaiting completion of its review of the agreement, called the Joint Comprehensive Plan of Action, or JCPOA. The senior official, one of several who spoke on the condition of anonymity to discuss internal administration deliberations, said the review should be completed before the next certification deadline in October. 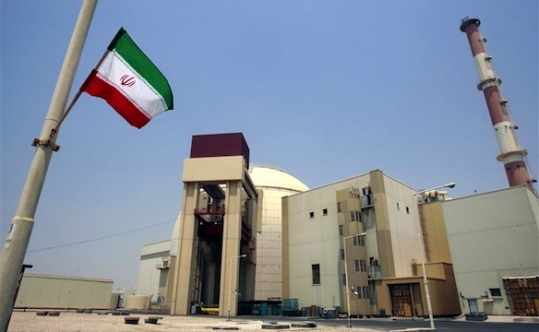 The International Atomic Energy Agency, the United Nations and other signatories have said repeatedly that Iran is complying with the agreement, under which the country dismantled most of its centrifuges and nuclear stockpile, shut down a plutonium production program and agreed to extensive international monitoring of all stages of the nuclear process. Beyond disagreements over what supporters of the deal consider minor and quickly rectified infractions, and detractors assert are dealbreaking violations, there is broad consensus within the administration and Congress that Iran continues to participate in other prohibited activities not covered in the nuclear accord. The question is how the United States should respond. White House officials, including those charged with managing Iran policy within the National Security Council, believe Iran should be punished not only for nuclear violations, but also for its support of international terrorism and its development of ballistic-missile technology. Secretary of State Rex Tillerson, who has statutory responsibility for certification, and Defense Secretary Jim Mattis have successfully argued that the nuclear deal should not be tied to punishments for those activities and that any nuclear-related action should await the review. Officials cautioned that Trump, who has made clear his disdain for the accord, could decide not to sign off on the recertification between now and the Monday deadline but said that was unlikely. The decision to recertify was first reported Thursday by the Weekly Standard. Next Tuesday, the administration must also comply with a separate deadline, reporting to Congress on Iran’s overall nuclear behavior and deciding whether to waive reinstituting sanctions lifted under the accord. That report, due 180 days after Trump’s inauguration, was part of restrictions lawmakers put on the agreement, as was the 90-day certification requirement. As White House officials have asserted their role in the process, the administration has downgraded internal State Department mechanisms for monitoring Iranian compliance. In recent weeks, a separate State Department office of Iran Nuclear Implementation established by Obama was subsumed by the bureau in charge of overall Middle East policy. Both Stephen Mull, the lead coordinator for implementation, and Stuart Jones, the acting head of the Middle East bureau, have told Tillerson they are resigning from the Foreign Service. It is unclear who will replace Jones or whether Mull will be replaced at all. Among those weighing in from the outside during the debate, which included a meeting of Trump’s national security principals last week, were four Republican lawmakers – Sens. Tom Cotton, Ark., Ted Cruz, Texas, David Perdue, Ga., and Marco Rubio, Fla.
Noncertification would not automatically trigger the end of the deal. That would require the United States to allege a “material breach” on Iran’s part and a referral to the joint commission of signatories to the agreement for assessment. But proponents of the accord said that a failure to certify would nonetheless trigger unwanted reactions. Friday is the second anniversary of the signing of the deal, negotiated with Iran over a number of years by the United States, Britain, France, Germany, China, Russia and the European Union. Other signatories have been open in their rejection of Trump’s assessment, and they have warned that they would continue to honor the agreement, and increase their trade and relations with Iran, no matter what the United States does.